Description: Well-done implementation of the famous code-breaking game. 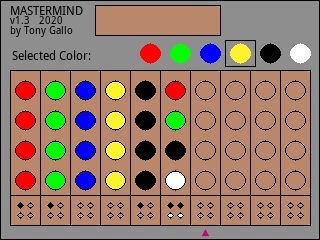 Each code peg can be one of 6 colors or vacant if you choose that option. When you submit your guess, black and white key pegs will provide feedback.